Online magazines are intended to attract visitors’ attention at a glance and inspire their creativity and imagination. Each and every magazine’s owner has to avoid boring content, dull design, and poor functionality. Otherwise, their projects are doomed to fail as soon as possible. There are tons of news sites, blogs, and portals that can boast of a wide audience and huge organic traffic. You certainly know some of them: CNN, Forbes, NYTimes blogs run, and many more. Most of them use WordPress as a content management system. Besides, you can join their prosperous community. Is it possible to shine on the web and stand out from the crowd? Yes, it’s certainly possible. And you will wonder how easy it could be with premium WordPress business themes. It doesn’t matter whether you are a novice or an advanced webmaster, you will cope with this digital product without effort. Be sure, your online magazine or news portal will run within hours without red tape. 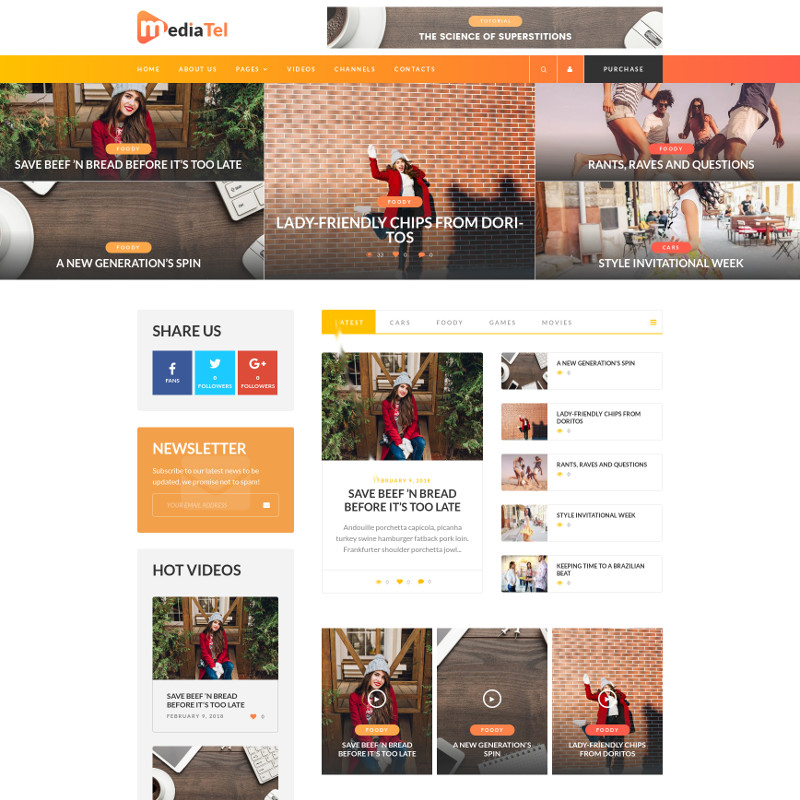 Enough said, let’s delve into the brilliant collection of highly-customizable WP themes, which are ready to be used for any massive news-dedicated web project. Try all the benefits of WordPress 5.0 with this Gutenberg-friendly theme. 24.Storycle enables faster and more efficient website building process thanks to the incorporated innovative editor. It provides you with the unique opportunity to craft new pages and posts with the help of blocks. Such an approach can modernize and simplify the publishing process thanks to improved interface usability. In addition to Gutenberg invention, the theme includes Elementor page builder and numerous Jet plugins for all occasions. 24.Storycle is aimed to satisfy multiple business needs – from a lifestyle blog to a fully-fledged news portal. Moreover, each and every skin has a live demo version, so don’t hesitate to try how it actually works. 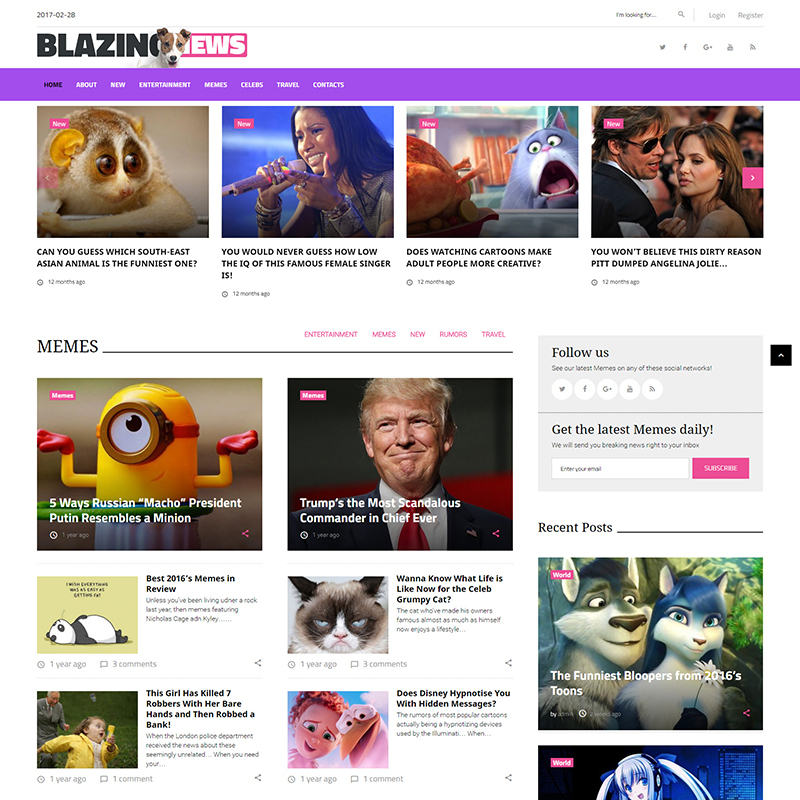 With this theme, display single posts, breaking news, and whatever you want with ease. 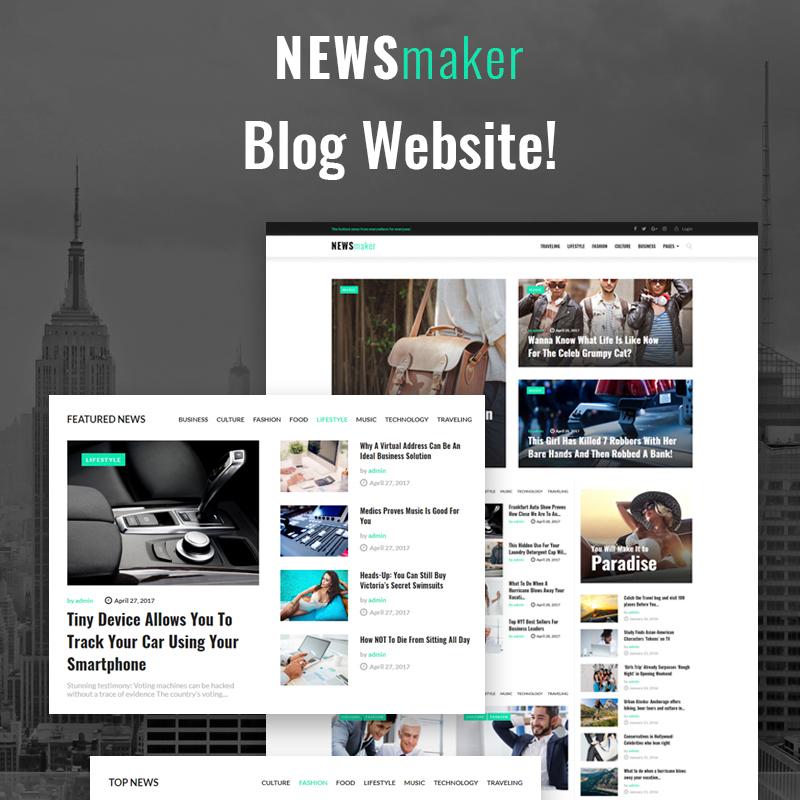 “More information is always better than less.” A news portal run via Newsmaker can become a stylish, attention-grabbing, and functional platform for posting really engaging and entertaining news. 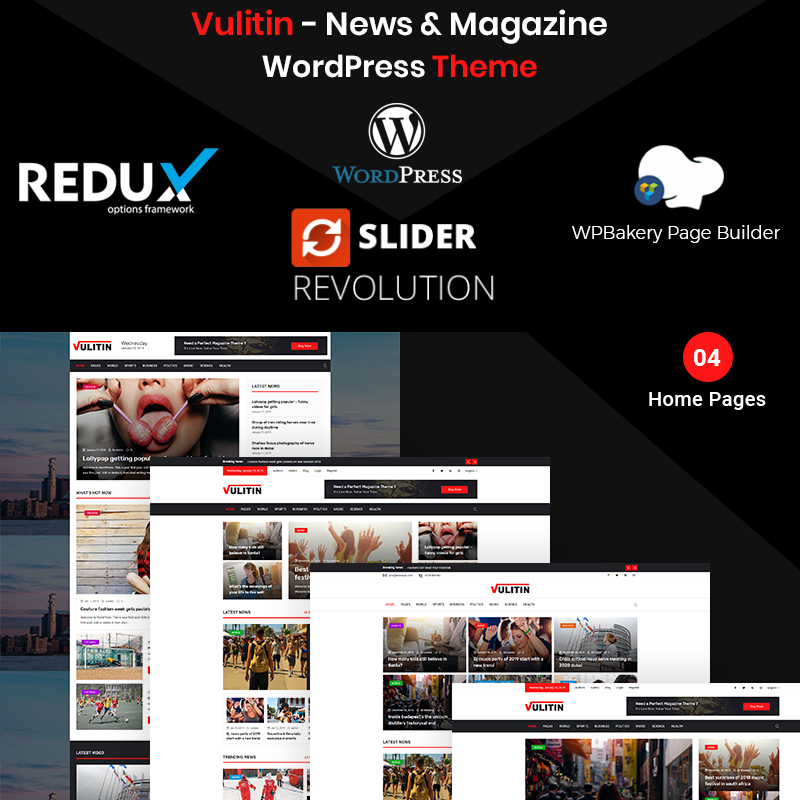 This WordPress theme is powered by 5.0 version and meets all the latest web requirements. Thanks to Ecwid-ready feature, you won’t have difficulty to turn an existing news portal into a productive webshop. WPML compatibility will help you spread the world globally since the plugin will easily translate contents into other languages. Being jam-packed with Jet blog plugin, the theme allows you to create a really captivating blog page with multiple useful elements. Modern users will appreciate a straightforward interface and smooth navigation of your portal provided by Newsmaker. Integrated Live Customizer will serve a comfortable platform for limitless customization even without programming knowledge. Everything is easy, intuitive, and clear. 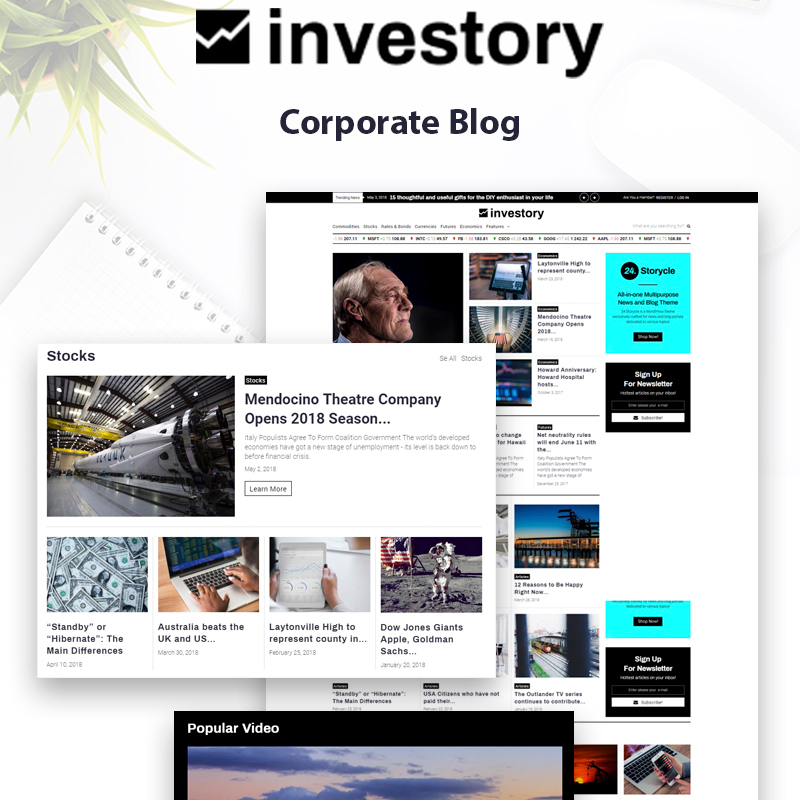 Whatever business purposes to launch a website you have, Investory will help you do it without effort. 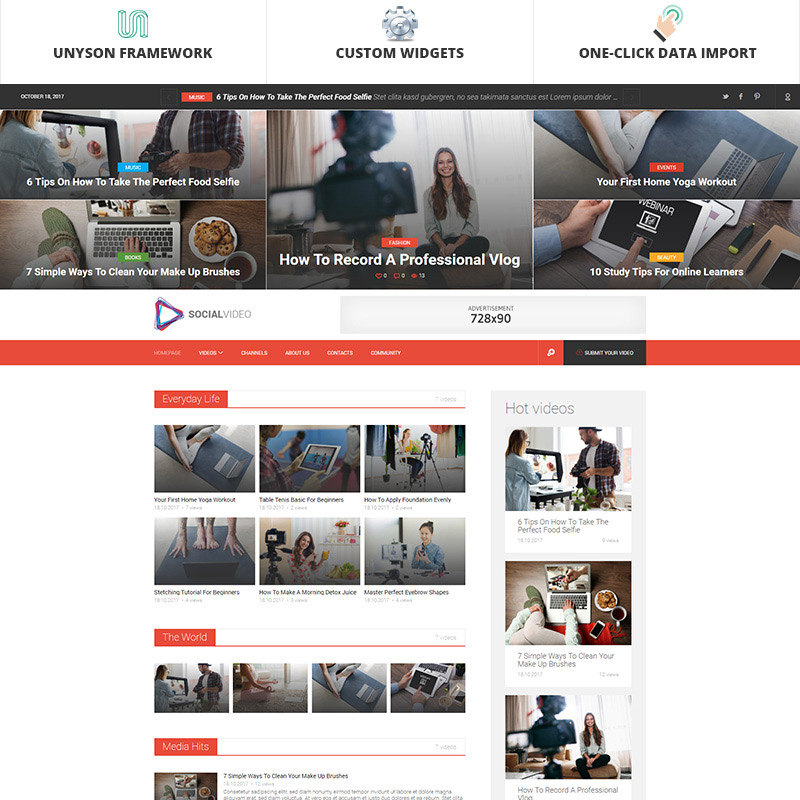 This WP theme is absolutely adaptive to a webmaster of any level of professional skills. Thanks to its incredibly intuitive interface and drag-n-drop Elementor page constructor, you will be able to craft any page within minutes. However, the product is already jam-packed with all the possible pages to cater to a corporate blogger’s needs. So, you may not need additional pages thanks to the advanced set of different pages built-in. With a mobile-friendly interface, the theme guarantees your website to flow impeccably on any modern device. 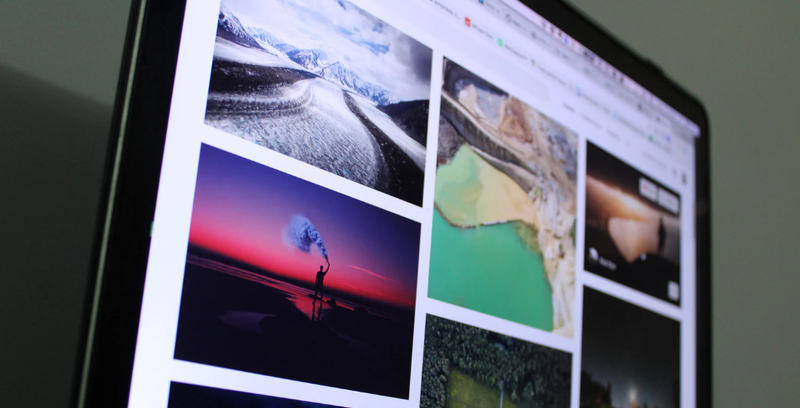 Being equipped with a package of free images on various topics, Investory will help you save time and money on searching for new images. Vulitin’s design is like a sharp intake of breath in the world of news and magazines on the web. It boasts an incredibly modern fresh-looking appearance in addition to extended functionality. Moreover, your visitors won’t stay indifferent to smooth performance, robust navigation, and straightforward interface of your site. This mockup gives a great chance to create a meaningful news portal without coding skills. The theme is based on the absolutely clean code, optimized for major search engines and compatible with all the possible browsers. If you hesitate whether Vulitin suits your needs, you can opt for a live demo. With a single click, demo data can be installed. 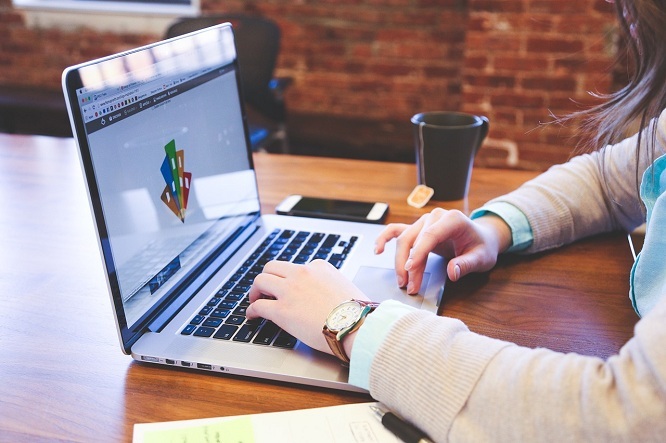 Thanks to the life-term competent support, you may not worry about issues that can arise on any stage of website building. With an intuitive Customizer, you can change multiple settings and options including color, font, icon, etc. To stand out from the competitors, you can make use of the Revolution slider. It allows you to make your pages and posts more impressive and catching. Vinews is the WordPress theme of unlimited opportunities. Packed with the extended functionality and options, it can provide any media website with outstanding features. Most components of the theme are incredibly flexible to be adjusted up to your business needs. With a rich variety of custom widgets, you will be able to express your creativity and share it with your readers. Advanced blog functionality will help you involve as more news portal visitors as possible. The theme is e-commerce friendly so you can turn a magazine into a webshop with ease. Thanks to the responsive Retina-ready design, your organic traffic will come from different devices including a massive mobile source. There is everything you may need to run an efficient media service: slider, calendar, subscription form, social media buttons, and many more. Don’t hesitate to try this theme by installing a demo version in a click. Why expend your time in searching for an expensive custom design for your new online magazine? Why suffer from inefficient current media website if you can update its design and functionality? SociaVideo WP theme can help you solve such issues in several clicks. This digital product boasts an intuitive user interface and excellent UX toolkit. 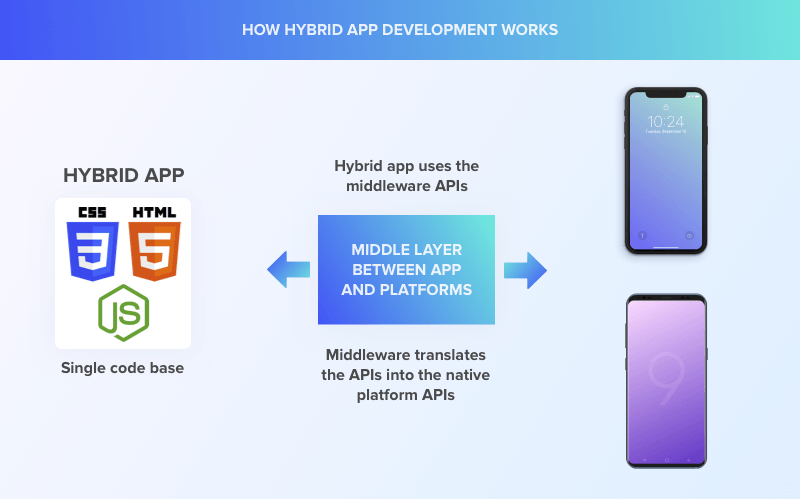 Built on the drag-n-drop Unyson framework, the theme provides users with multiple extensions and limitless opportunities for website building. SocialMedia allows website owners to post a rich variety of media materials like music, video, posts, etc. In addition to the bright, contrast-colored overall interface, the theme features a thought-out website structure. The footer is stuffed with all the needed blocks like recent comments, newsletter subscription, latest videos, and social media buttons. This lightweight, responsive, and smartly-organized theme will come in handy those who’re eager to run a media service. Equipped with an impressive bulk of customization options, it’s possible to adjust the theme to any media project. There is everything you need for a full-fledged magazine. A handy registration form will help to increase your client database. Share buttons will allow you to keep your service in contact with major social platforms. 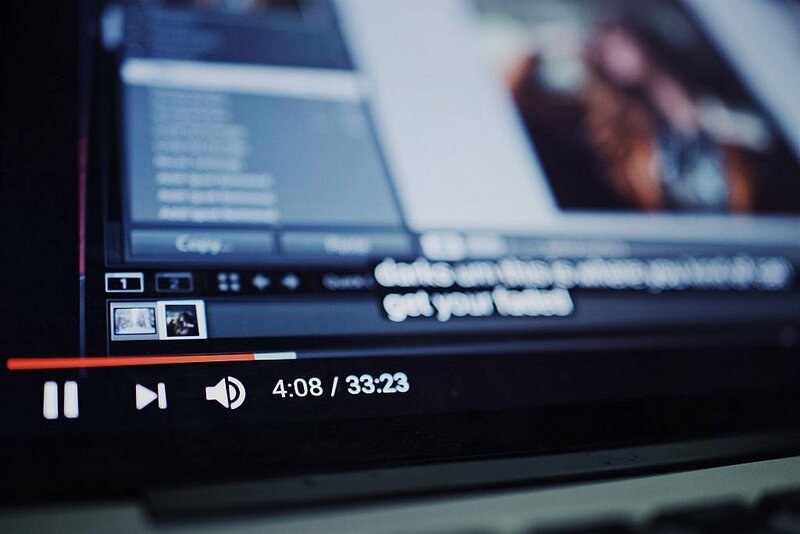 It’s possible to highlight hot video, popular videos, or related videos. To make your portal more user-friendly and interactive, you can use a left-sided block for comments. MediaTel features an advanced set of easy-editable options. You won’t have difficulty changing a color palette, web font, icon, or any other site component. Thanks to the SEO-friendly code, top-rated search results are guaranteed. There are tons of news websites, but it’s important to be outstanding among them. 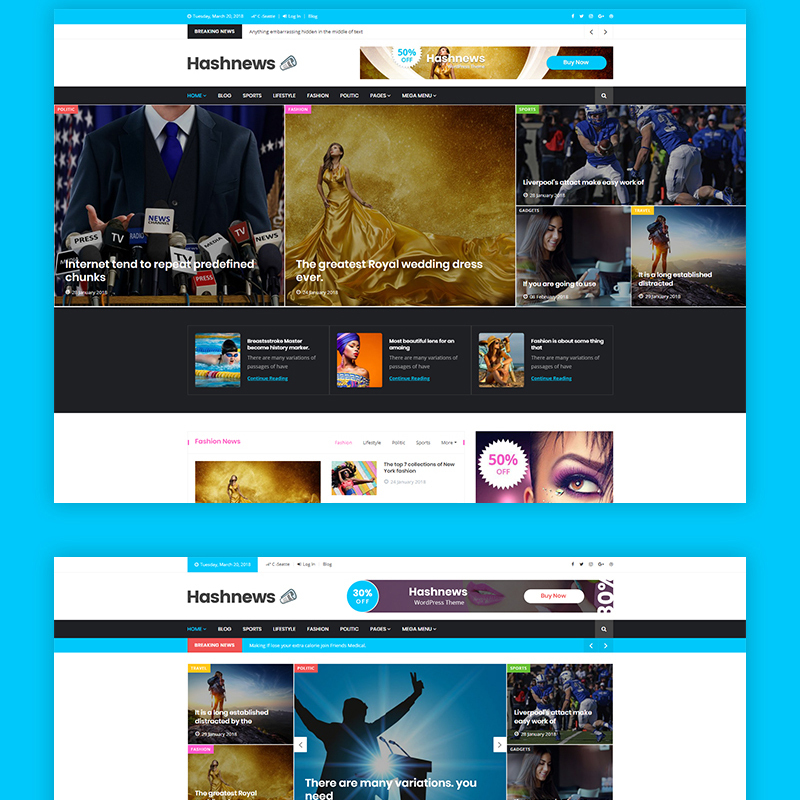 To shine up on the web, make use of HashNews WP theme specially designed for web newspapers/magazines. This digital product guarantees to drive organic traffic to your service due to the perfect search engine optimized code. Your site will be able to drive traffic from all modern devices including tablets and smartphones thanks to mobile-friendly paradigm inside. Moreover, there are over 40 KingComposer ad-dons and over 20 Hashnews ad-dons at your fingertips. As for the overall design of the theme, your readers will appreciate a neutral background and catching images, sliders, and videos. The footer style is made in contrast with the other parts of the website pages. It has a black background, so all the images/fonts/buttons are enough highlighted to attract readers’ attention. The footer contains all the needed information such as About info, contacts, share buttons, latest/popular/top news, and Instagram feed. 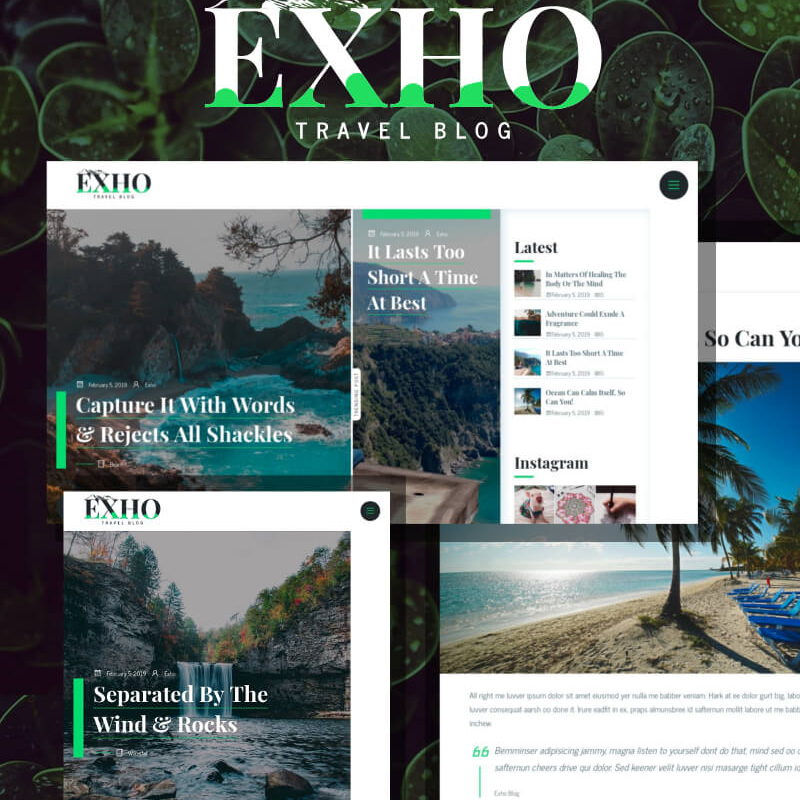 With Exho theme’s opportunities, you will be able to spread the word globally. This mockup brilliantly suits many personal and business needs, especially building a blog. Having bought this template, you achieve a package of easy-to-edit settings, modern typography, custom widgets for all occasions, and helpful plugins. The theme allows you to easily place visual material like pictures, video, and other content. With Gutenberg editor inside, it won’t take much effort and time to create new pages and adjust content to your needs. Exho comes with all the possible social media integration, share buttons and feeds. If you’ve already had a powerful online presence on various social platforms, it will be easy to tie your profiles to the site. It will have a positive effect on your brand awareness and custom loyalty. Moreover, it will impact on your place on the SERPs and attract more organic traffic. BlazingNews is a visually stunning and technically sophisticated digital platform suited to build an impressive online media empire. Thanks to a highly customizable interface, the theme can be easily adjusted to any business needs and personal preferences. Tons of settings and custom widgets are at your fingerprints. You’re not required programming knowledge to install and customize this theme. It has an absolutely clean code enriched with comprehensive documentation and competent 24/7 support. With BlazingNews, you can play with web fonts because Google font integration provides with over 500 various font variants. Ecwid-ready feature guarantees a fast and money-saving transformation of a blog into a powerful e-store. Besides, the product is WPML-compatible allowing you to translate content to multiple languages and make your blog globally accessible. It also comes equipped with a thorough Contact form and impeccable Search form. What more could one ask for? 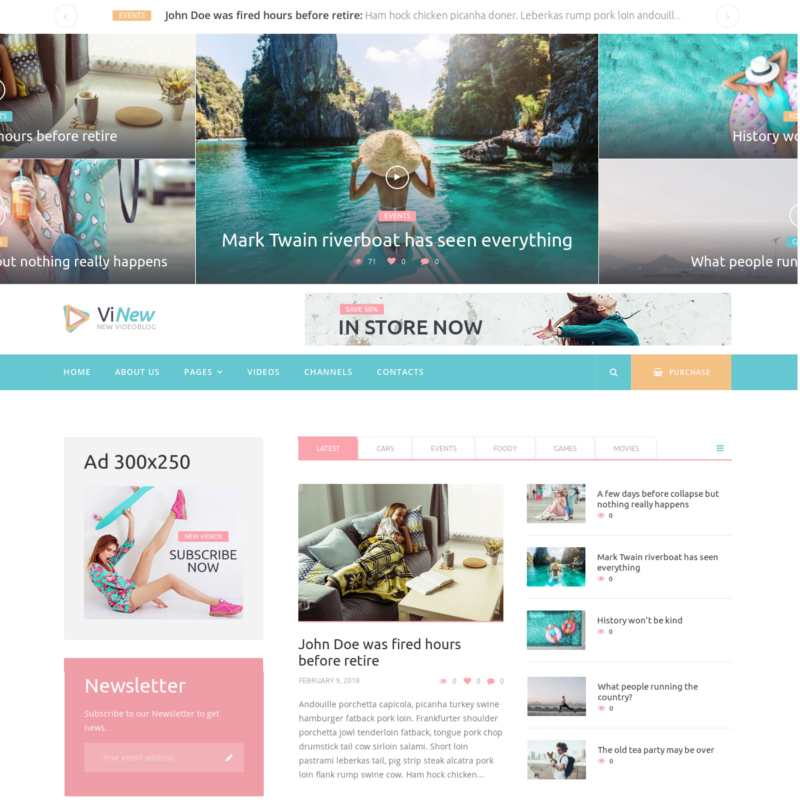 With this collection of magazine WordPress themes, it doesn’t matter whether you’re a novice or advanced webmaster. The sky is the limit for you. These brilliantly designed themes prove that creating a media portal or online magazine in the 21 century has become easy as a pie. What do you need to craft a blog? – Almost nothing except for some time, strong desire, and one of these themes. They are jam-packed with multiple options and features to make your site modern looking, traffic-oriented and user-friendly. Thanks for being a subscriber, here is your FREE house vector icons set. Web performance is a tricky subject. There are a lot of factors that can cause slow loading time. For this article, I want to focus on one particular aspect — images. Images are still the number one cause of bloat on the web. Loading images take up massive amounts of bandwidth because they often have large file sizes. According to the HTTP Archive, 60% of the data transferred to fetch a web page is images composed of JPEGs, PNGs and GIFs. Optimizing images can significantly improve web page load time, resulting in improved user satisfaction. 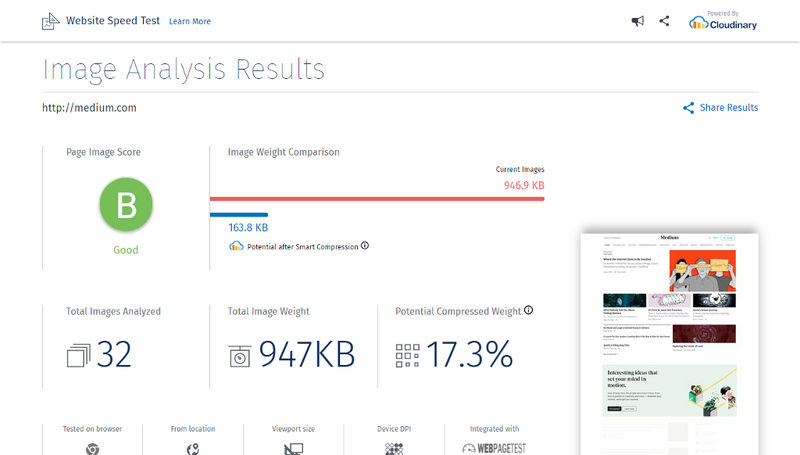 Perform a site audit through the Website Speed Test Image Analysis Tool and it will highlight opportunities to better optimize your images. 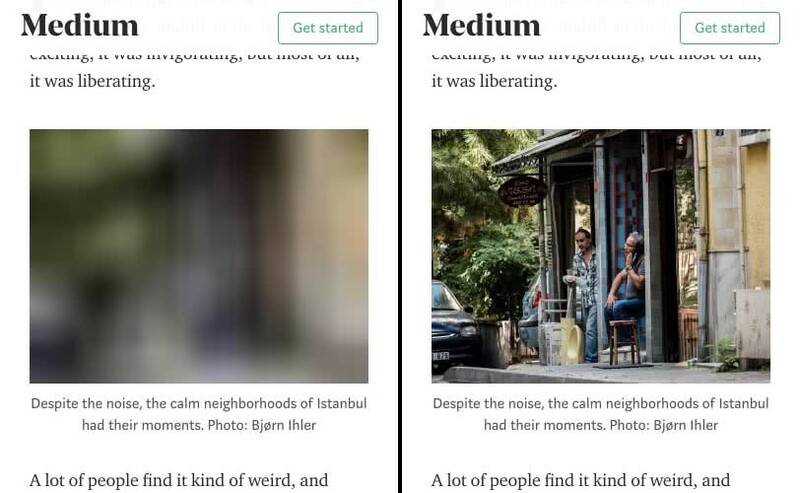 Image analysis results for Medium. 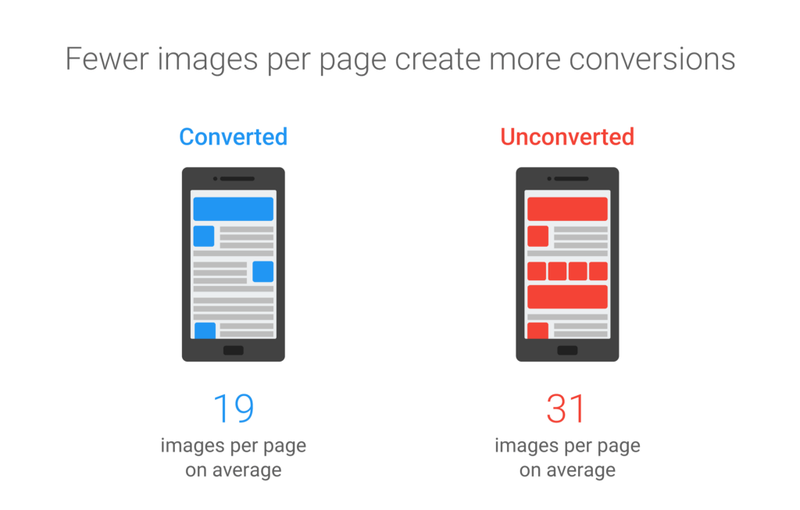 According to Google, images are the 2nd highest predictor of conversions. In many cases, it’s possible to track a direct connection between the number of images page have and loading time. The smaller in file-size you can make your images, the better a network experience you can offer your users. Squoosh will help you to manipulate images at the optimal compression levels. This tool can significantly reduce the size of images while preserving visual quality. JPEG. Run your JPEGs through MozJPEG or Guetzli. Mozilla claims to shave up to 10% off JPEG files. PNG. 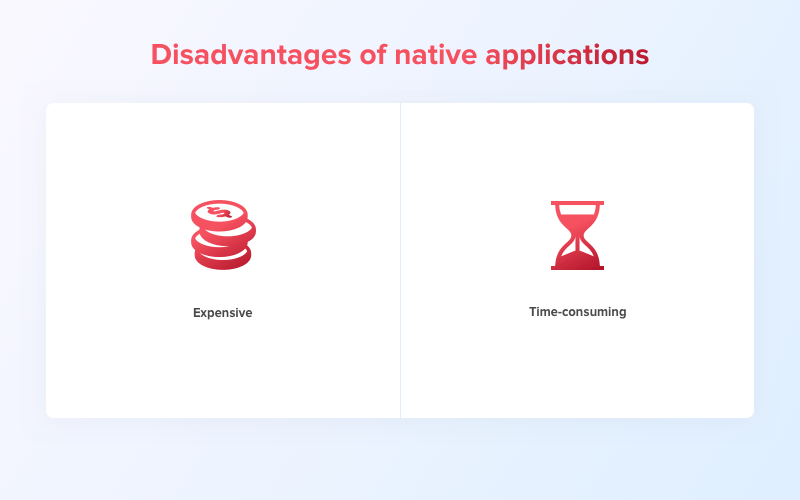 Pingo can help you with PNG optimization. SVG. Use SVGO for your vector graphic. Resizing images are expensive operations for a browser (especially on mobile hardware). Thus, try to reduce unnecessary image resize costs. 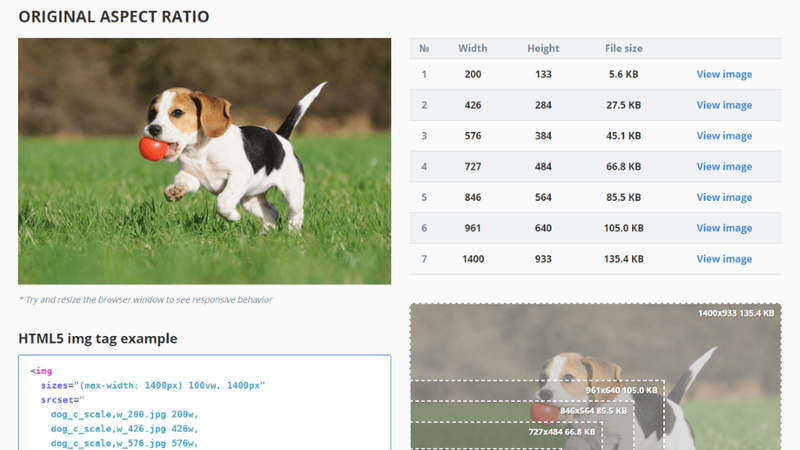 Use the Responsive Image Breakpoints Generator to create properly-sized images. Ideally, you should automate this operation. 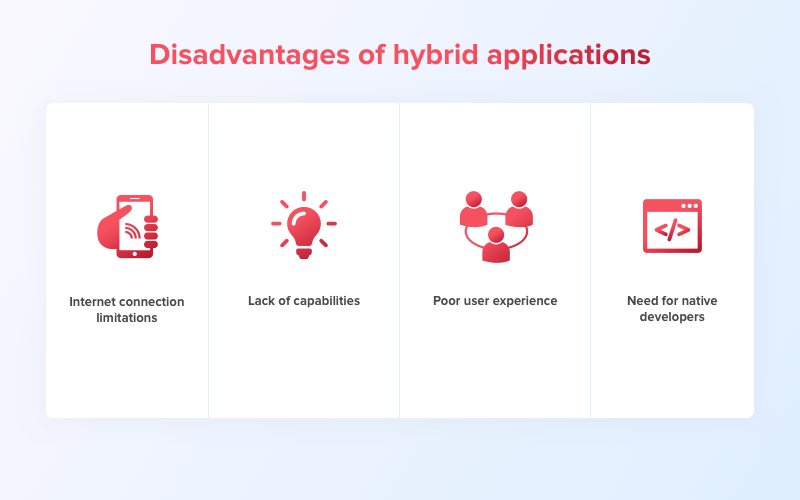 Service Cloudinary or Imgix can help you with that. You check the efficiency of your responsive markup using imaging-heap. This simple command line tool will show you the efficiency across viewport sizes and device pixel ratios. Make sure to clean up unused assets. You can track such images by searching the display:none property in your CSS. Also, track images that are loaded by default, but might never be displayed (for instance, images in a carousel). Lazy loading is a web performance pattern that delays the loading of images in the browser until the user needs to see it. Usually, the image loading is triggered on scroll — images load asynchronously on demand when a user reaches an appropriate part of the page. This technique is commonly used on many content-heavy websites such as Medium. Using animated GIFs in page layout introduce both rendering performance and bandwidth problems. Instead of adding huge animated GIFs, try to use AV1 or WebM videos. Depending on how much images you have, you might want to push it to a CDN. But double-check whether your CDN performs compression and conversion. Essential Guide for Web Performance Optimization was originally published in UX Planet on Medium, where people are continuing the conversation by highlighting and responding to this story. When you take a look at Simon Morasi Piperčić’s online portfolio, you can quickly see that the Zagreb-based designer loves minimalism. His most recent clothes rack, name Ugao, is no exception. This simple geometric furniture is designed to take little space in your home. Even better, it uses the space that is often under-used: the room corner. 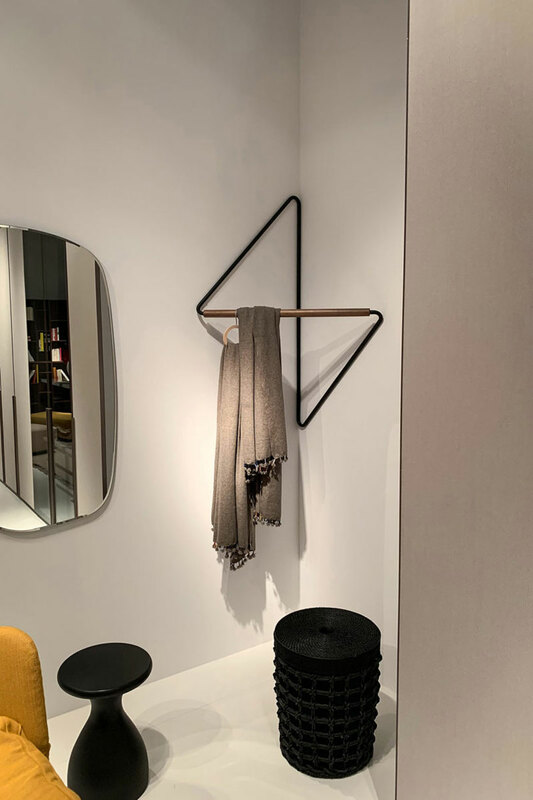 The Croatian designer used simple shapes and an ingenious hanging system to create a hanger that is both useful and elegant. Since the invention of WordPress and other CMS systems, freedom of creativity in the web design industry has increased significantly. 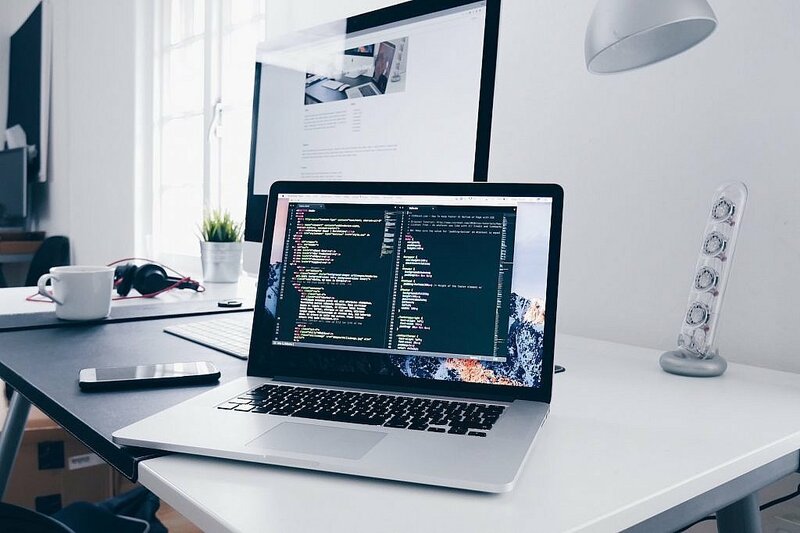 Today, you don’t need to have both incredible technical skills and artistic talent in order to create a beautiful website. You only need the second and a little of the first. that come along with some of your design choices. For every extra second, a website is estimated to lose 11% traffic and 7% conversions. A website is, first of all, a business machine. Its goal is to attract and convert customers. What benefit does it have to create a masterpiece, if 40-50% of the audience clicks the back button and doesn’t even get to see it? It’s not just about money. The fact that you’re annoying or even insulting fellow humans with you’re slow page speed is the real problem. Losses in profits are just a reflection of this ugly behavior towards customers practiced by that particular business. added into the above-the-fold loading time. over 1 second into this number is not something you want to be doing. happening above the fold! And these images also cannot get lazy loaded. Studies have also shown that almost nobody watches sliders. People just scroll down and continue reading the page. That’s if they didn’t leave already due to slow speed. outweigh the downsides in that situation. More often than not, they don’t. principles that one needs to follow for pleasurable user experience. to keep in mind when building a one-pager. aspect that influences your one-pager. You can’t simply build a website if you don’t know what its purpose is. a mess. The whole structure of a website is based on what purpose it has. effects. Even so, these effects are not slowing down the website. yet dynamic. The homepage features a static image and a CTA button. upper side of the screen. design. A CTA button welcomes users when they access it. is a limited amount of copy and more visual content. multi-page options are more suitable. with it. One-page websites need to be designed according to a visual structure. sections and combine it with visual effects. hierarchy through contrast, repetition, size, proximity and more. elements to transmit a message. 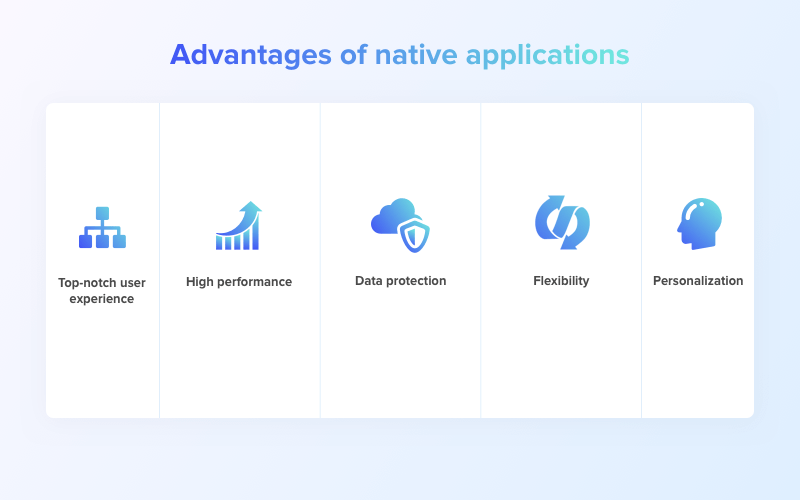 bullet point list of all the features the product has. as the interior design niche involves a lot of visual content. informing the users about the products it presents. Mercedes-Benz surely knows how to do it. space. You can guide users to focus on elements that you consider paramount. be used to emphasize their services. flow. It balances both written content and visuals. convenient for users. Sticky menus of all sorts will make navigation easier. great way to help users reach the information they need. automatically scroll down to where it is presented. perfectly. All information can be covered within three mouse scrolls. and a detailed menu on top. encourage the visitors of a website to perform a certain action. This is a pre-built template with customizable CTA buttons. to the service they are interested in. to sign up using the opt-in form. way, navigation is simplified and the purpose of the website is met easier. your needs and say goodbye to all the effort and stress. helpings of sour cream, cheese, and bacon bits and you have a feast! show some signs of life. feasting on a mind-blowing conversion rate far into the future. of delicious WordPress condiments to see what they could do for you. What if we told you that your design could change in real-time based on who was viewing it? Imagine the possibilities… Would you change color palettes based on time of day? What about swapping out images if someone was in San Francisco or London? What about replacing content that’s already been viewed with something new? With Logic Hop, you can. And much more! Personalization is all about displaying the right content to the right person. And it works – with sites easily performing 200% better. 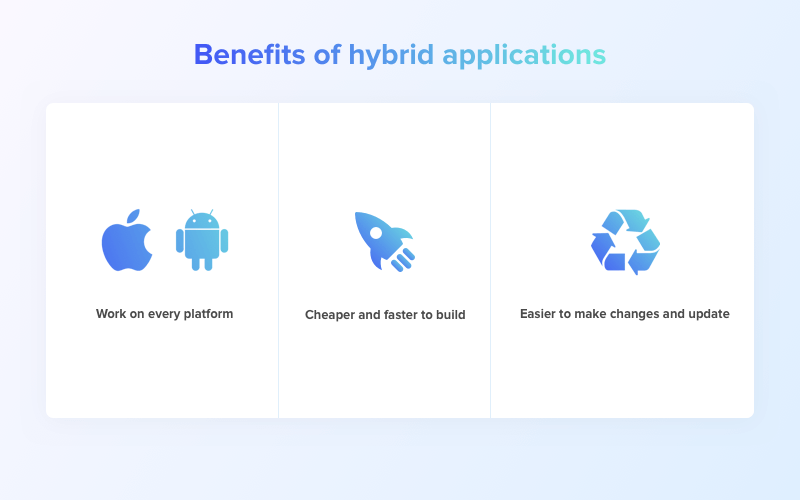 Logic Hop’s toolbox of ready-made solutions makes it easy for anyone to personalize their site based on pay-per-click and display ads, geolocation, social media posts, actions visitors take on your site, and even what they’re interested in. With rich support for modern page builders, including Elementor, Beaver Builder, Divi and Gutenberg, Logic Hop will help you bring design thinking to life. Logic Hop offers a 14-day free trial and stellar customer support that will help you get up and running quickly. Try Logic Hop today and take your designs to the next level. Web designers are so familiar with the Layer Slider trademark that it’s probably way too late to change its name. It’s true this WordPress plugin gives you a world of slider options to work with, but it can do so much more. pages, and even to build complete websites. detailed documentation and this product’s dedicated support team. You can’t go wrong by choosing a plugin that’s been the industry standard for products of its type for a dozen years running. That’s the case with the NextGEN Gallery plugin. Beginners can easily create simple galleries with it, yet it’s powerful enough to satisfy the demands of imaging professionals and visual artists. And, you can download NextGEN Gallery for free. include two main album styles and two main gallery styles you can work with. way you can think of, sell prints, and collect payments online. Map SVG has been a long time favorite with web designers, due in part to its use as a tool to convert any SVG file into an interactive vector map. This plugin’s authors have expanded its capabilities to where it can now create interactive vector maps, interactive Google maps, and interactive image maps. Trying to create a useful table or chart from a huge amount of complex data is a task almost any web designer will dread. If that includes you, the wpDataTables plugin is an all-in-one solution for dealing with large amounts of data and data from a variety of sources. Businesses love the idea of receiving an instant ROI on any new product or process. That’s exactly what Amelia gives them. It saves them a huge amount of time by automating their appointments, bookings, and booking management processes and procedures – including online payment systems. customers and clients to the satisfaction of both. 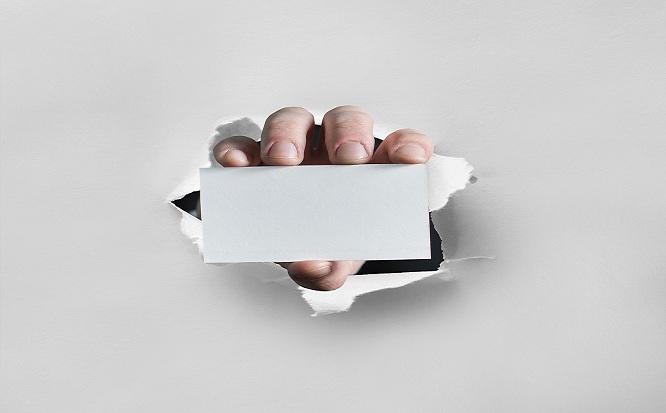 Posting personalized messages on a network of social media sites is a powerful and effective marketing approach; but attempting to manage posts that have been customized to fit different social media sites can cause real headaches. track your posts, and rearrange your schedule when necessary. The WP Review Pro plugin makes a nice addition to your web design arsenal of useful tools. It gives you an ideal platform for reviewing products, movies, books, services, or whatever. ratings. WP Review Pro is WooCommerce compatible and optimized for speed. Experience helps to develop better and better SEO skills, but learning from experience can be awfully slow and extremely frustrating. 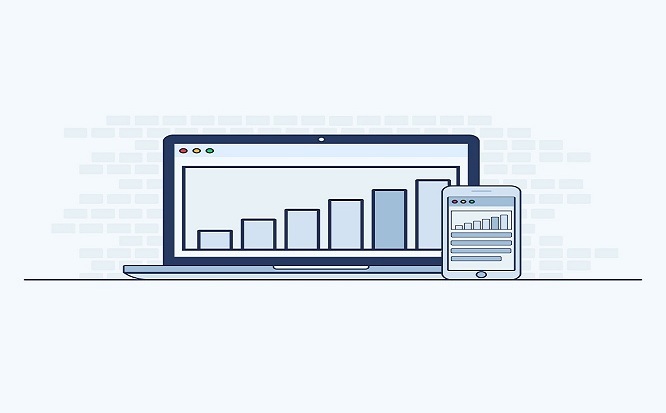 Rank Math quickly takes your SEO skills to a high level. can download Rank Math for free. It’s bad enough having to answer the same questions over and over, and it’s even worse for your business when customers or potential customers have to wait for answers to their questions or concerns. Heroic Knowledge Base solves both problems for you. more likely to choose the product or service they’re interested in. customers that intend spread the word or come back for more. It’s always good to get along with your neighbors, not only you avoid petty arguments, but you can also build things together. 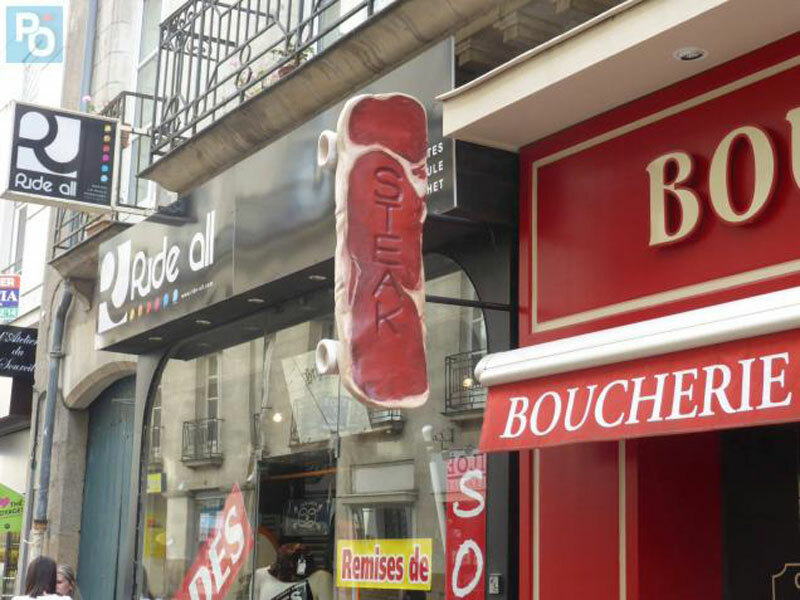 This shop sign in the French city of Nantes is the best example of this. 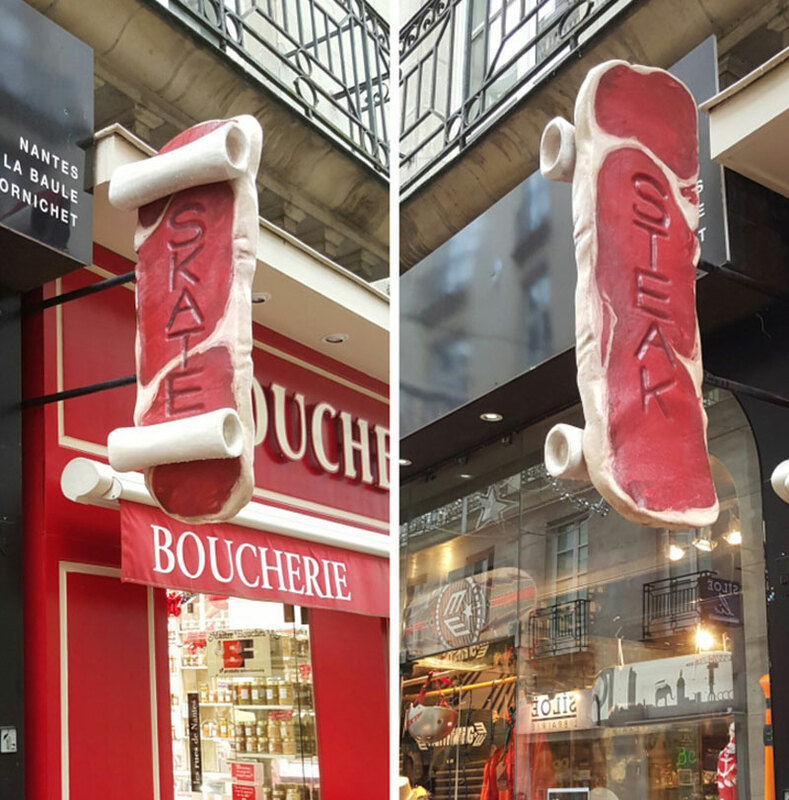 The neighbors, a skate shop and a butcher (aka the steak shop), decided to create a sign together. The sign says “skate” on one side, and “steak” on the other side. It has the shape of a skateboard and the texture of a steak, making everyone happy. If you are truly motivated, you can go check it out in Nantes, Ange-Guépin street. It was initially designed for the project “De l’art des enseignes” (the art of signboards), by a talented designer from Lyon who goes by the cute artist name “Le Gentil Garçon” (the nice boy).